Overll the college is a good place to learn things at an affordable price in a city like Sri Ganganagar. 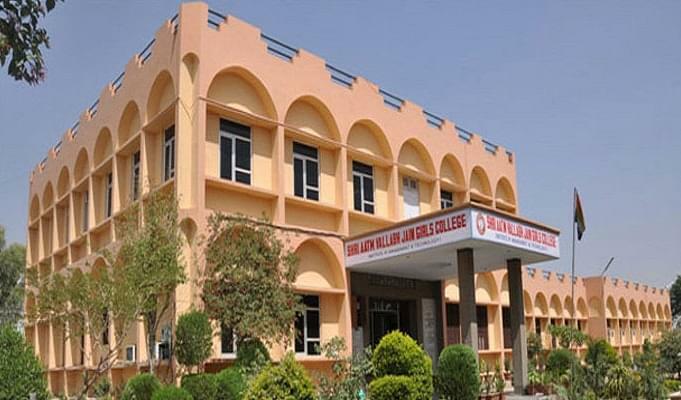 Shri Aatm Vallabh Jain Girls College is located in Ganganagar in the state of Rajasthan. Established in the year 2000, it is accredited by AICTE and enjoys an affiliation with The Rajasthan Technological University and The Maharaja Ganga Singh University. The college offers courses in arts, commerce, science, management and computers. It aims to impart a wholesome education with equal emphasis on academic as well as extra co-curricular skills to produce productive students. Why to Join Shri Aatm Vallabh Jain Girls College,Ganganagar, Rajasthan? Internet: The College has excellent internet facilities with various Wi-Fi enabled multimedia labs with free Wi-Fi access. There are a total of 160 core 2 computers backed by authoritative servers. The student computer ratio is 1:1 and all computers deliver 2mbps internet speed. Library:The library has a profuse collection of 20,000 books ranging from international journals, periodicals, newspapers and is equipped with computers. There is also a Book Bank. The seminar hall has an air conditioner, Wi-Fi facility and another state of the art tools. Hostel Facilities: The hostel has well-furnished rooms and is centrally air cooled. It has the amenity of solar battery geezer for hot water and water cooler with aqua guard for clean drinking water. Sports: There is a well functioning Sports department, and the college provides sports facilities such as Judo, Cricket, Athletics, Badminton, Baseball and other games in its huge playground. College Magazine: The college also has its own magazine named Mahila Shiksha, which honours the young achievers as well as provides a record of the College activities and events. Reliable placements: The College has an active placement cell that strives to maintain a 100% placement rate. Top recruiters include companies like Wipro.